Just when I thought cinnamon rolls couldn’t get any better, I converted our favorite Amish recipe into these incredible Sourdough Amish Cinnamon Rolls. But we do things differently these days. Christmas morning is relished, not rushed. We take it slow, and savor the moments with memories etched into our minds that will, hopefully, last a lifetime. We sip our coffee, watch the kiddos play with the train under the tree, and simply enjoy “being” with the ones we love. All this is creates the perfect setting for an upgraded tradition of Amish inspired, Sourdough Sweet Potato Cinnamon Rolls. OH MY! Follow along with us over on our Facebook page! These cinnamon rolls are a labor of love, and take a bit of planning ahead. But I think, after that first bite, you’ll agree they’re worth it, especially for those memory-creating special occasions. And don’t let the sweet potato throw you off. 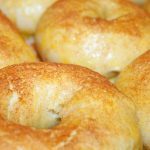 Traditionally prepared Amish rolls use mashed white potatoes to keep the texture light and fluffy, so the substitution for sweet potatoes maintains that fluffy texture while adding a hint of sweetness and a beautiful orange color to the rolls. Just when I thought cinnamon rolls couldn’t get any better, I converted our favorite Amish recipe into incredible Sourdough Amish Cinnamon Rolls. 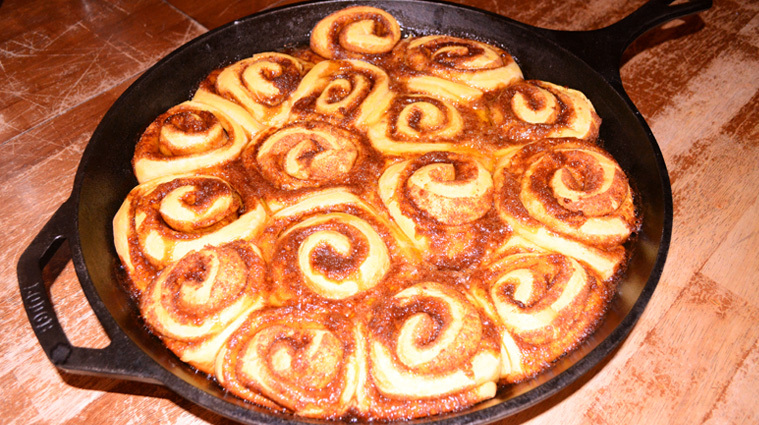 This recipe was adapted from Little House Living’s Amish Cinnamon Rolls. DOUGH – In the bowl of your stand mixer, add melted butter, sugar, eggs, vanilla, salt and mashed sweet potato and mix until well incorporated. Add sourdough starter and mix until incorporated. Add 4 cups flour, one cup at a time, and mix until a smooth dough forms. Add 1/4 cup milk and the remaining 2 cups flour, 1/2 cup at a time and mix until a smooth dough forms. Add remaining milk, if needed (you’re looking for a slightly sticky dough). 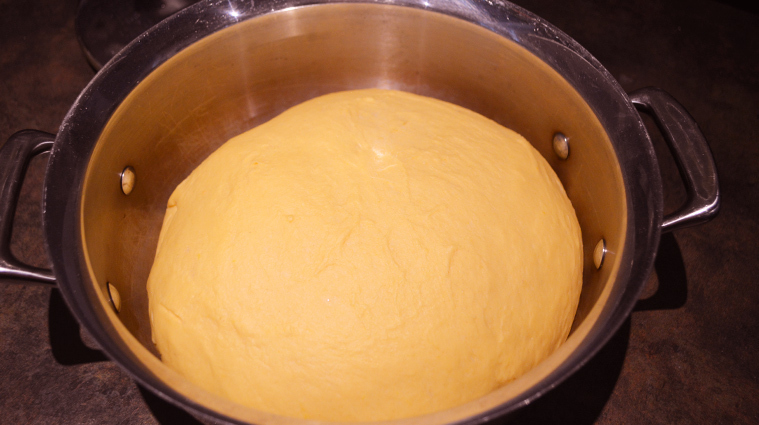 Place dough in a bowl and let rise, covered, until doubled in size (about 1-2 hours). Punch down dough and roll out onto well floured surface. 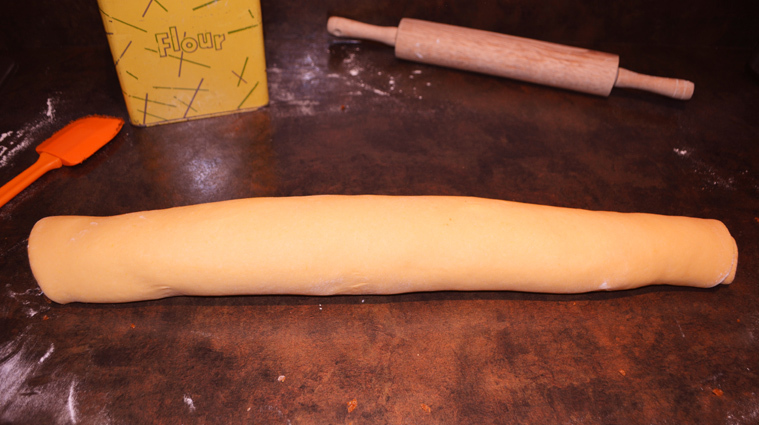 Using a rolling pin, roll dough out into a rectangle about 1/4 inch thick. 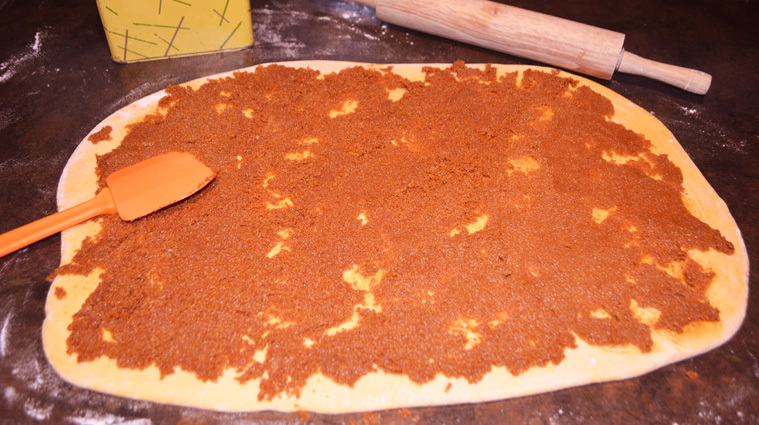 FILLING – Brush melted butter all over the dough. In a small bowl, mix together brown sugar and cinnamon. Sprinkle sugar mixture over melted butter and spread evenly with fingers. Roll the dough, lengthwise into a tight log roll. Cut dough into 12-16 equally sized rolls and place into cast iron skillet (sheet tray, pyrex pan or other cooking pan) leaving about 1/2-1 inch between each roll. Cover with a tea towel and allow to rise until doubled in size (about 1-2 hours). Preaheat oven to 350 degrees F and bake rolls, uncovered for 25-30 minutes, or until no longer doughy in the center. FROSTING – In the bowl of your stand mixer, whisk together softened butter and powdered sugar. Add in sour cream, vanilla and sea salt and whisk until smooth and creamy. 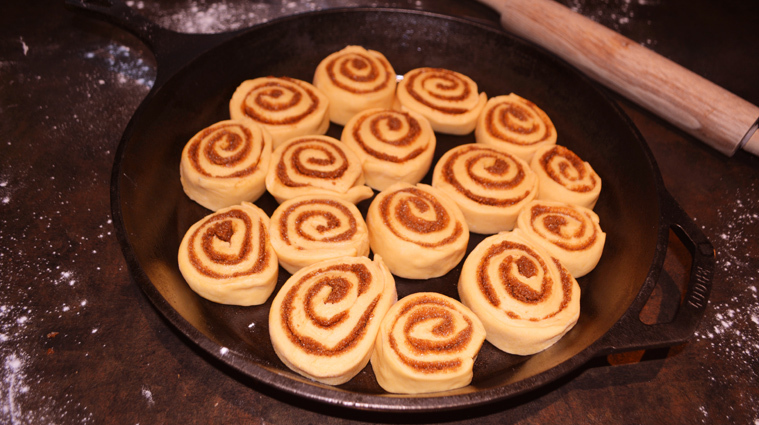 Once cinnamon rolls are done baking, drizzle frosting over hot rolls for a thick glaze, or allow cinnamon rolls to cool and frost for a thin frosting. Be sure you’re using “active” sourdough starter that has been fed within 4-12 hours and is nice and bubbly. 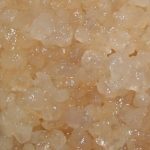 If you don’t have a sourdough starter, read this post for an easy sourdough starter recipe. Peel, cube and boil sweet potatoes. 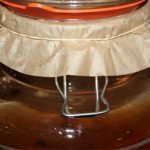 Drain liquid and mash ahead of time so they’re able to cool before using. It’s better to have your dough a bit on the “sticky” side before the first rise. Dough will get less sticky as it rises. 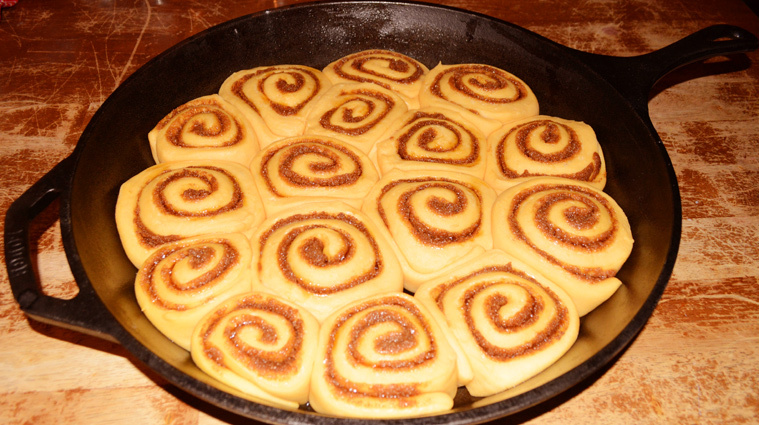 If your dough is too stiff, your cinnamon rolls won’t turn out as fluffy and light. 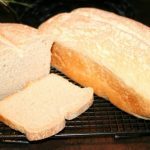 If you love easy-to-follow sourdough recipes (including Gluten-Free options), be sure to grab our Sourdough eBook: Everyday Sourdough. Looking for More Breakfast & Dessert Recipes? Hi!! Do you think these would be ok to get to the point you put them in the skillet and then put them In the fridge until the next morning? Just want to have them cooked fresh in the morning 🙂 thank you! I can’t wait to make them! Great question Jess…you’ll want to make sure you’ve let them do their final rise before refrigerating…then they’d work perfectly to pop in the fridge until morning! They’re likely to get a little extra sour, but this recipe has enough sugar they’re still plenty sweet! Enjoy!